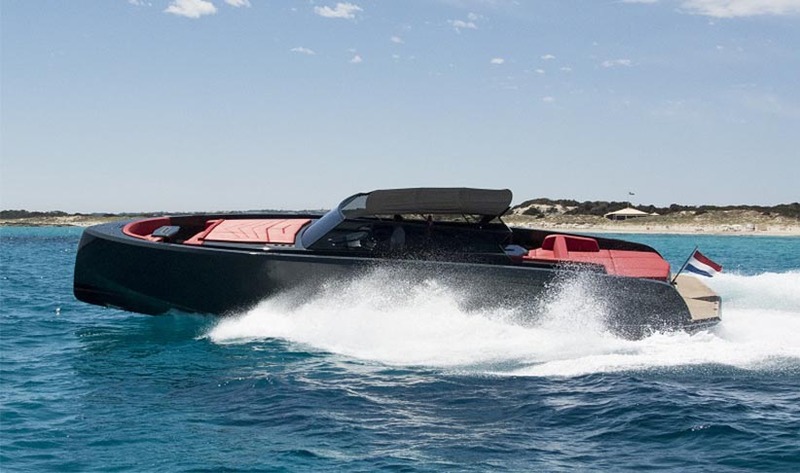 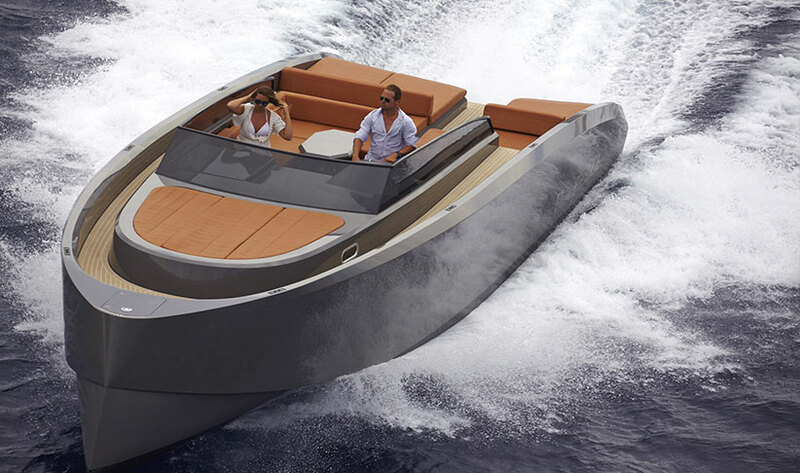 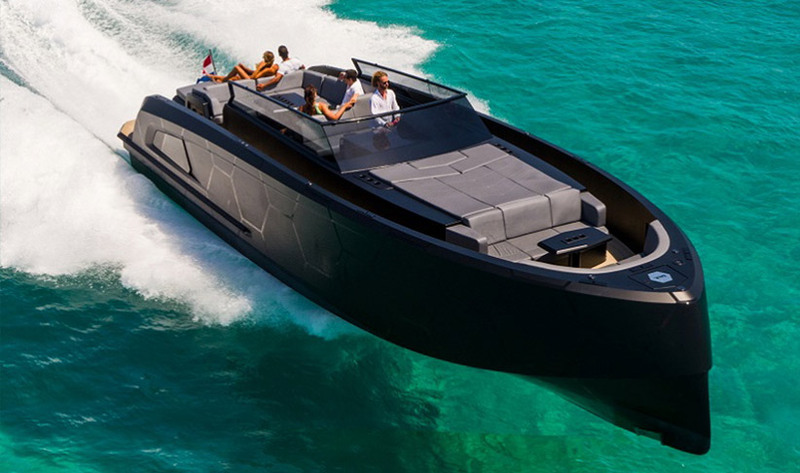 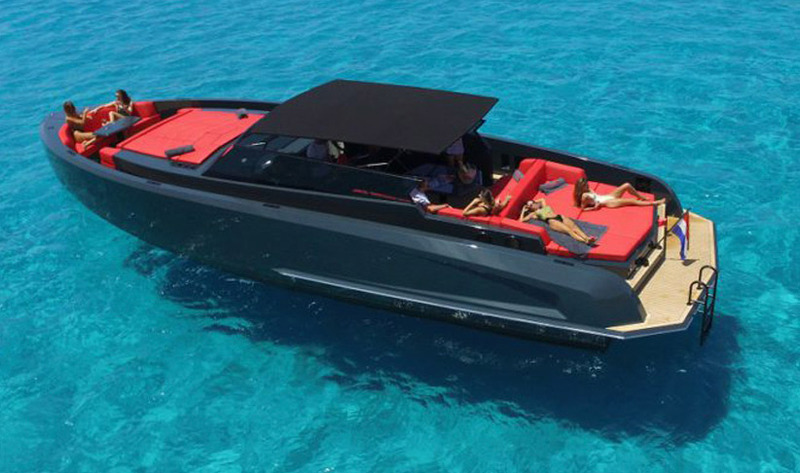 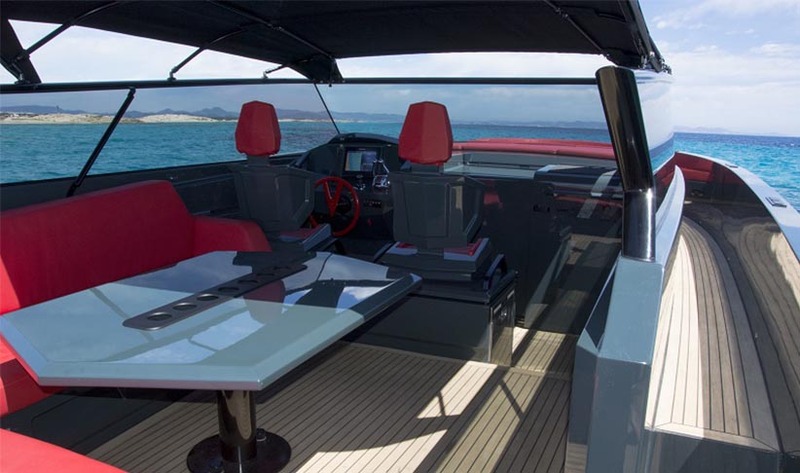 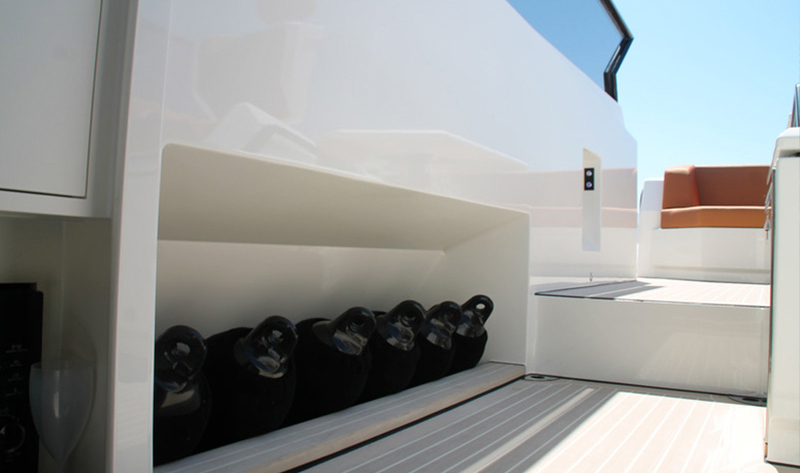 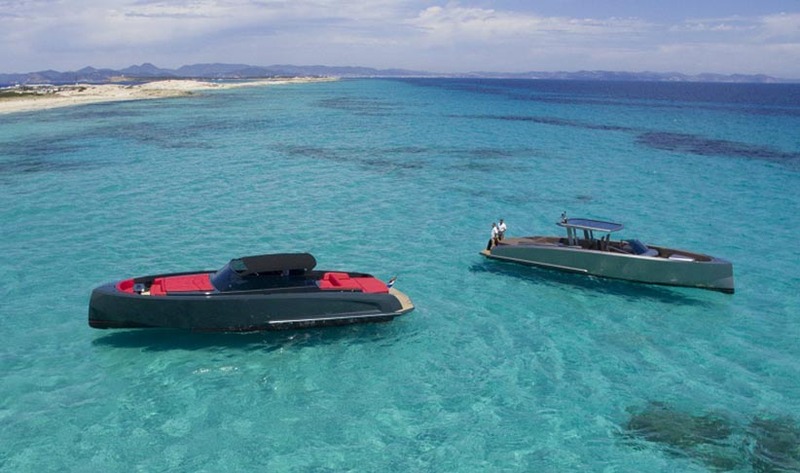 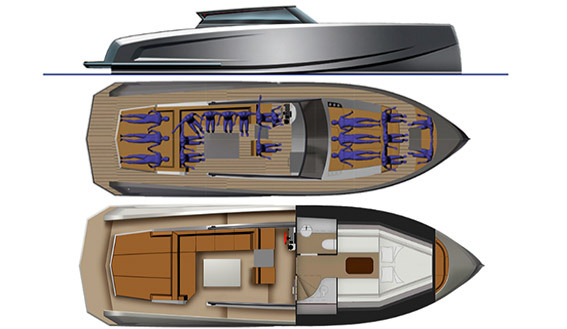 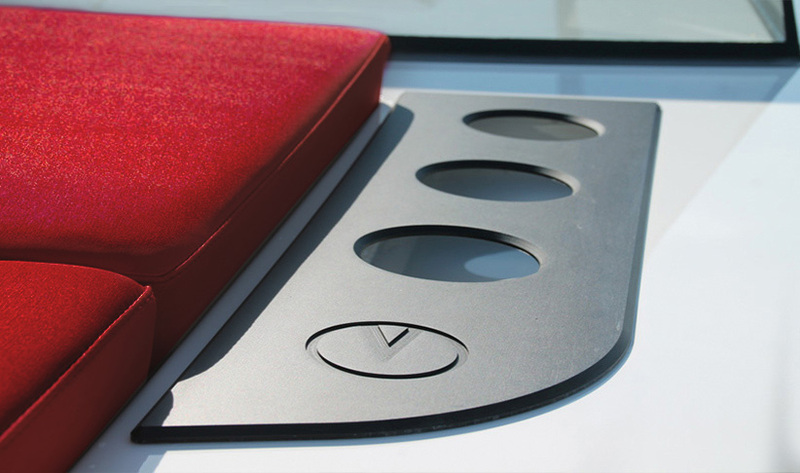 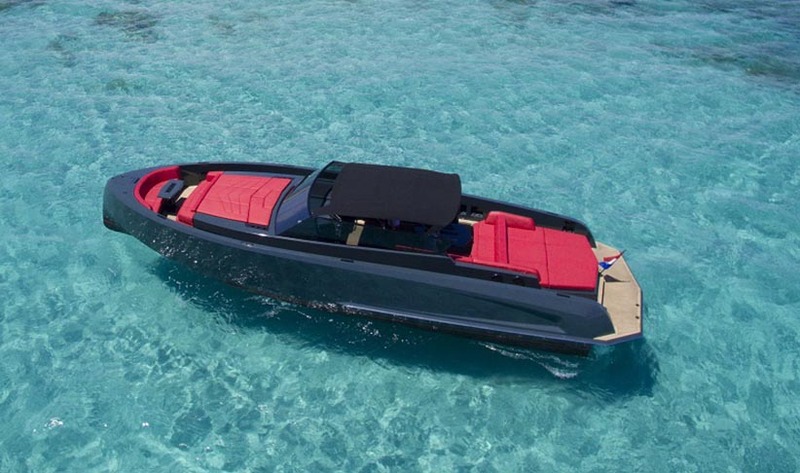 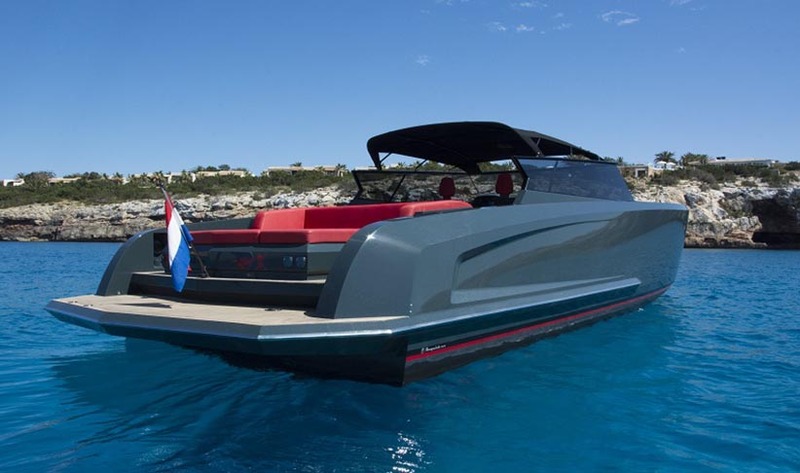 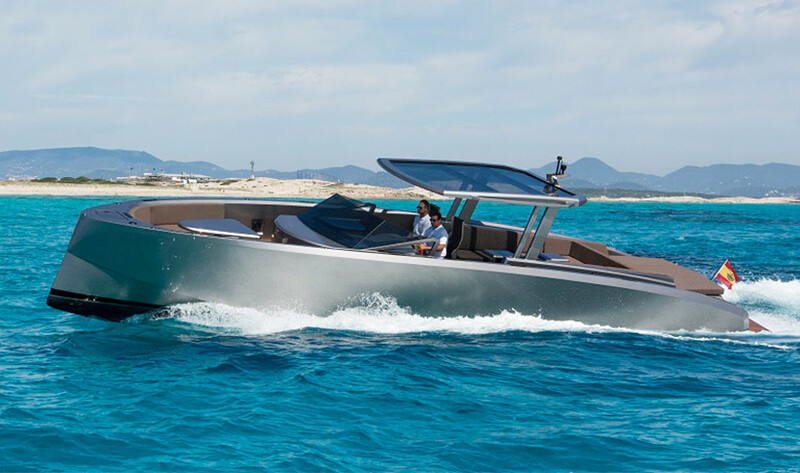 Super cool and elegant the Vanquish VQ48 charter boat has superb performance, due to its lightweight. 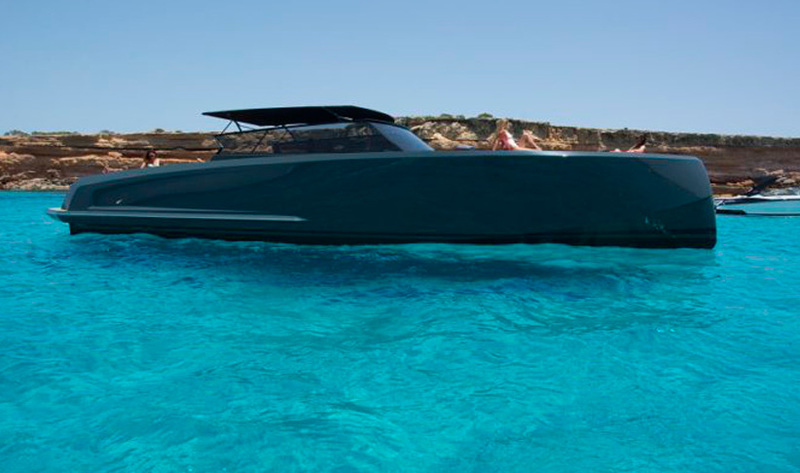 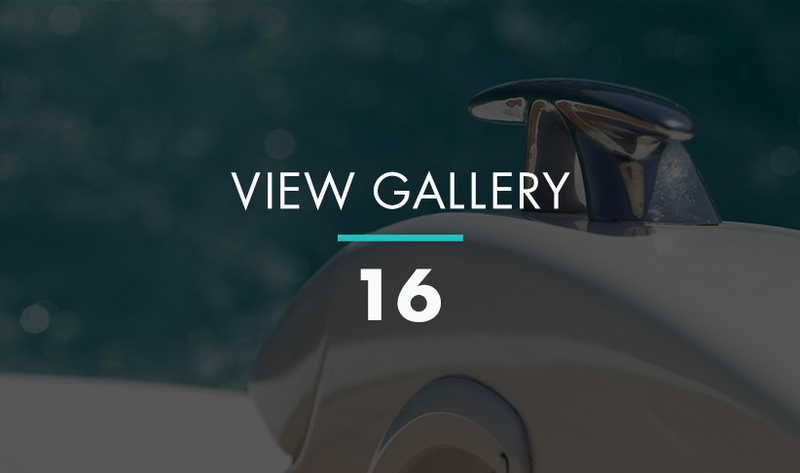 Handcrafted from aluminium, the Vanquish 48 literally cuts through the water, accelerating to 45 knots in little to no time. 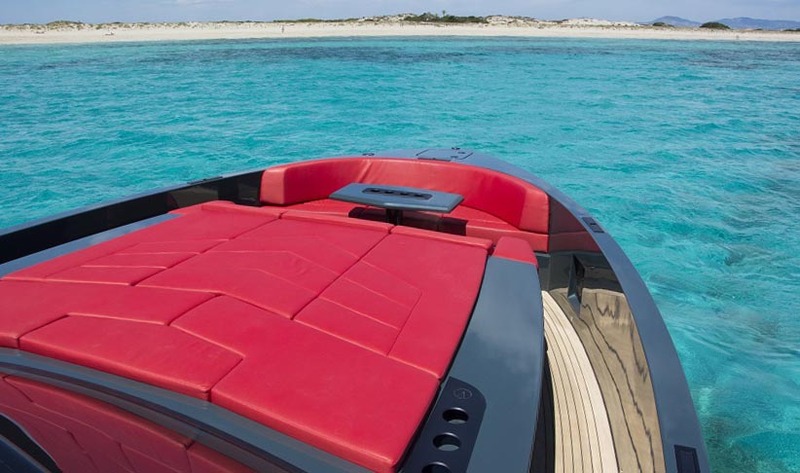 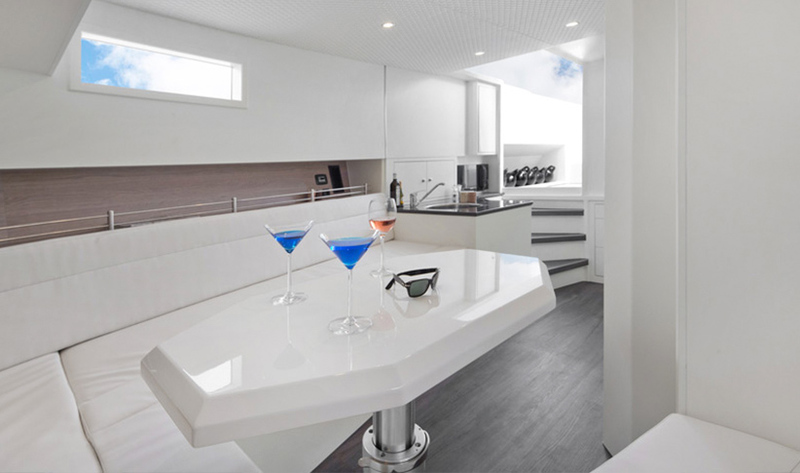 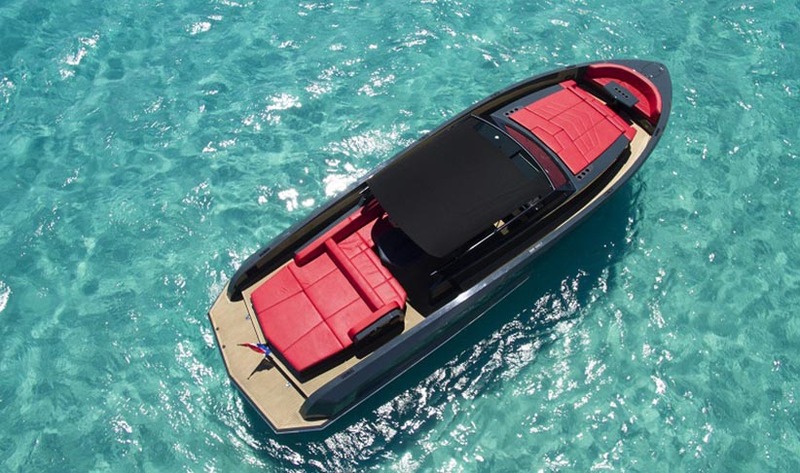 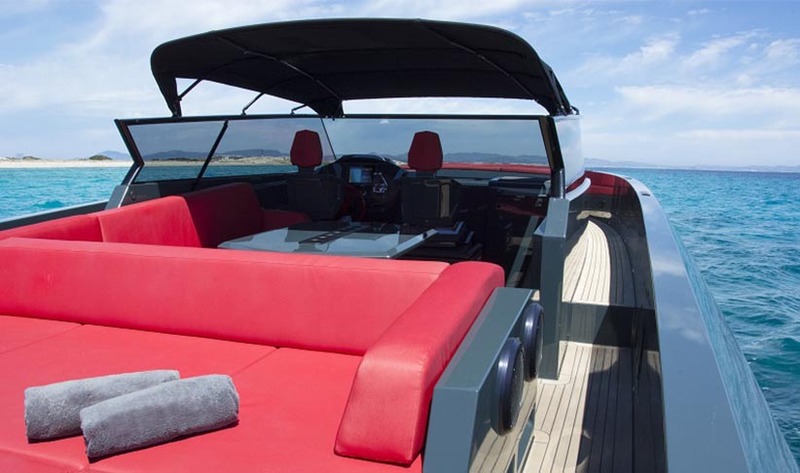 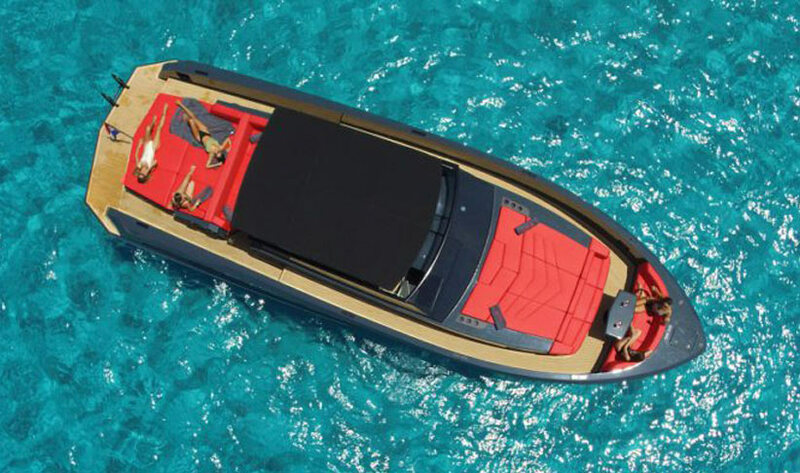 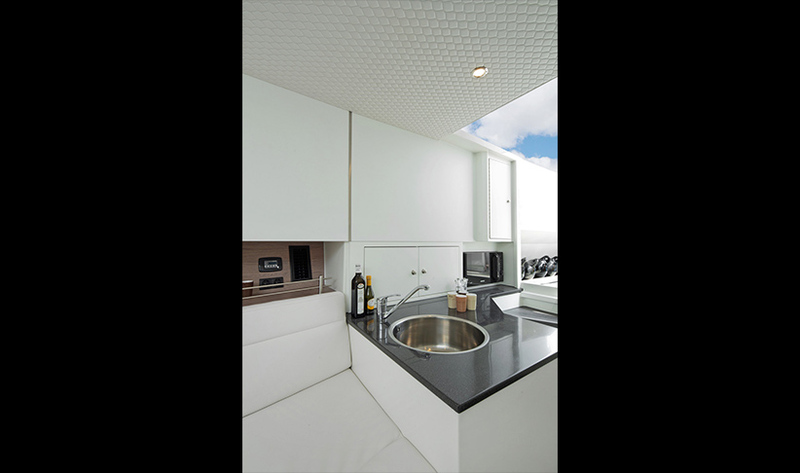 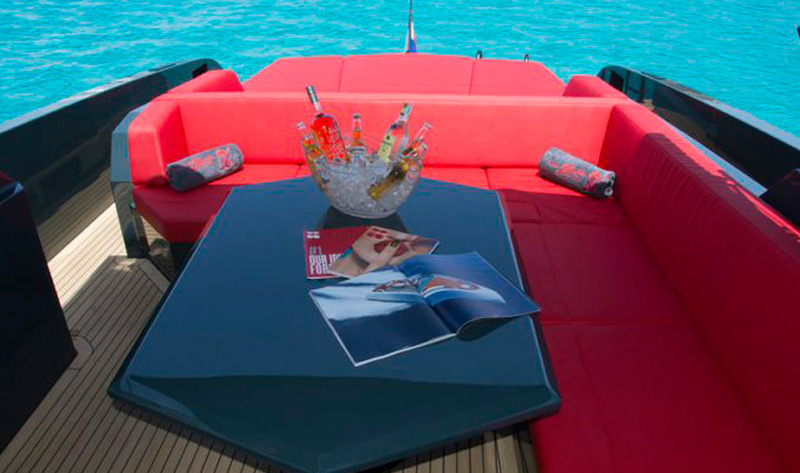 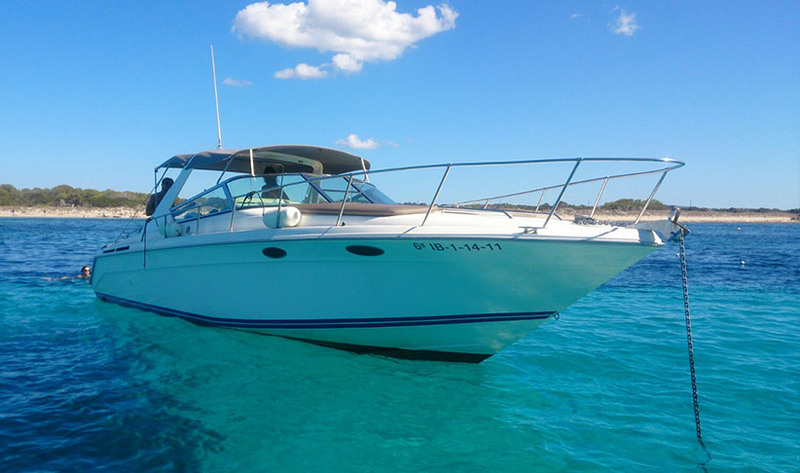 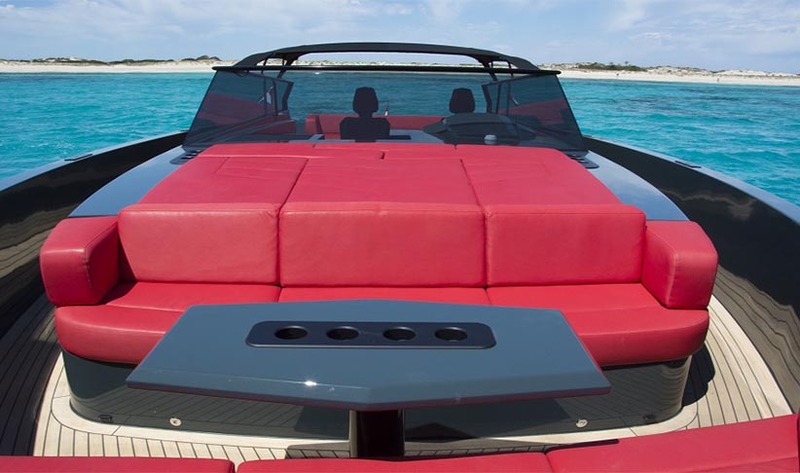 With full sunbeds to the rear and an L shaped seating area with table and full sunbeds in front, this boat has been thoughtfully designed for full-on relaxing in true Ibiza style. 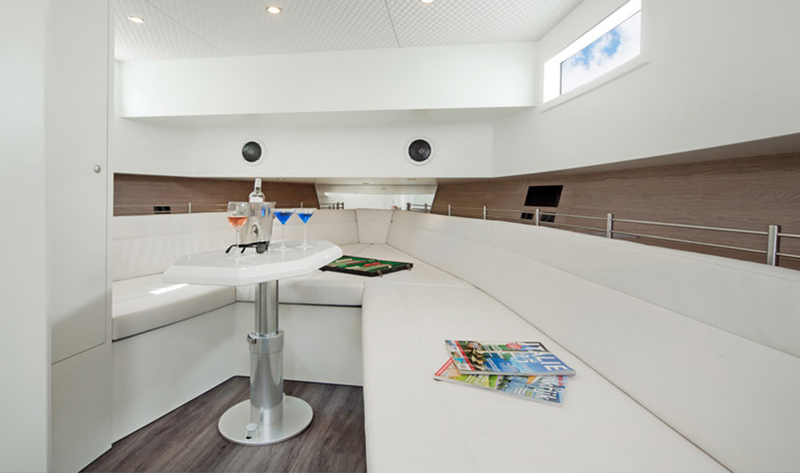 There’s also a great sound system on board and a Seabob F5s.